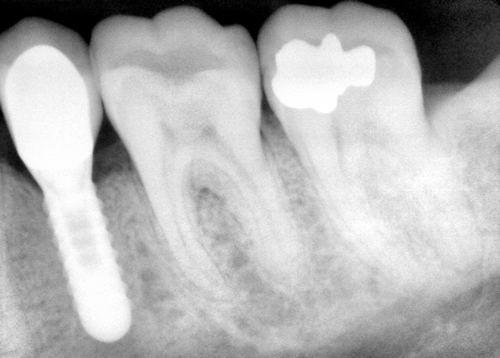 This patient had a crown followed by a root canal and a second crown on this lower bicuspid. 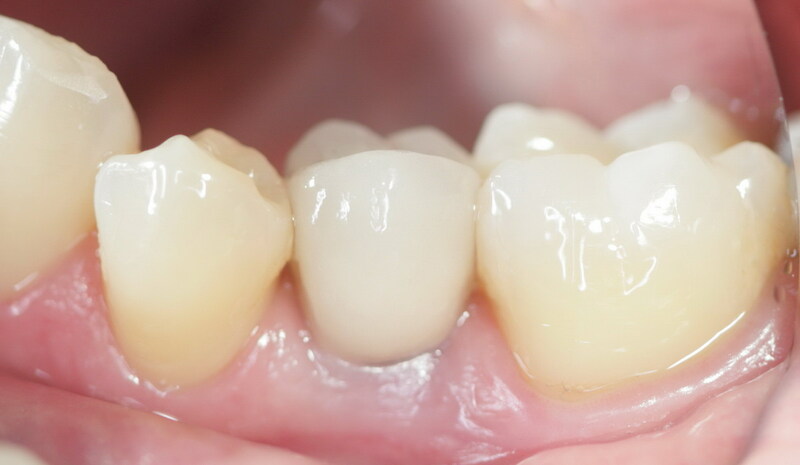 Due to insufficient tooth structure the second crown kept coming off. 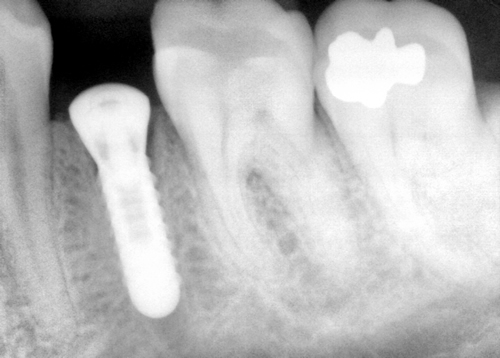 The tooth needed a surgical crown lengthening followed by yet another crown Root canal teeth with posts are prone to fracture after 10 years. 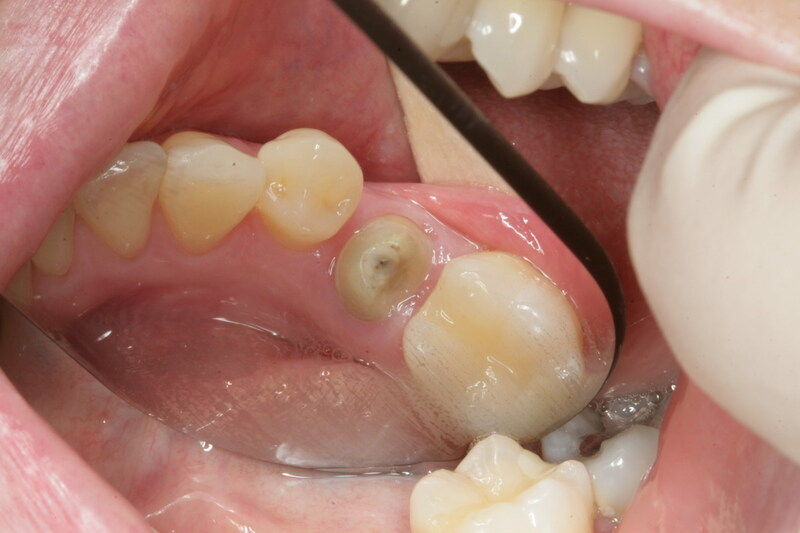 The option of extraction and implant placement followed by a new crown would be a lifetime solution to this problem. 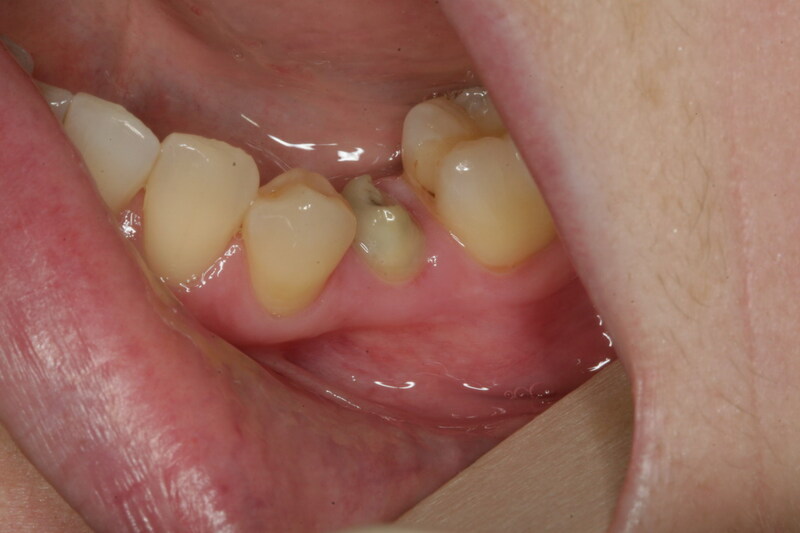 Extraction of tooth followed by immediate implant placement on same day. 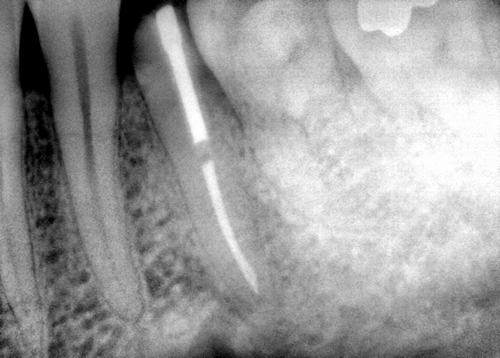 post inserted into the integrated implant with crown. 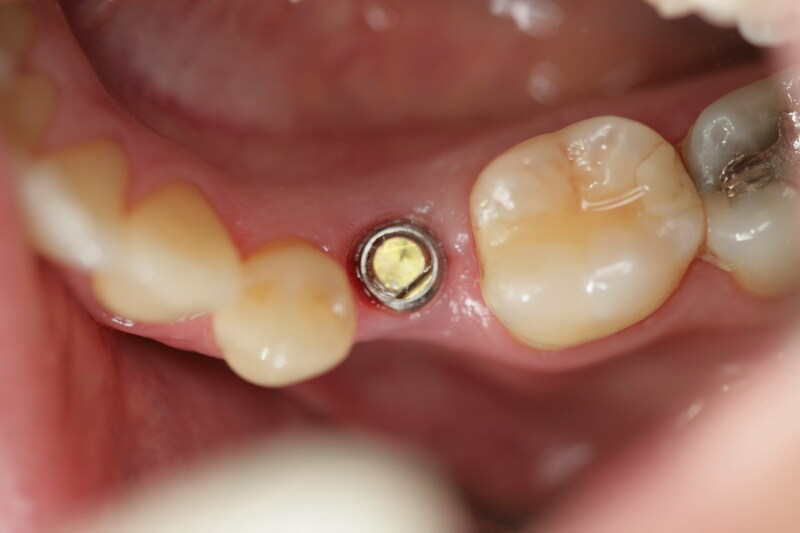 Crown over implant. A permanent solution.